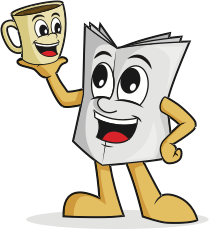 Welcome to Tidbits, "The Neatest Little Paper Read", locally owned and operated. We believe "Service, Hard Work and Good Relations" with our customers and distribution areas are the KEY to the successful growth and readership of the paper. Advertising in Tidbits is very effective, affordable and easy. Call or email us and we will put an advertising package together just for you. 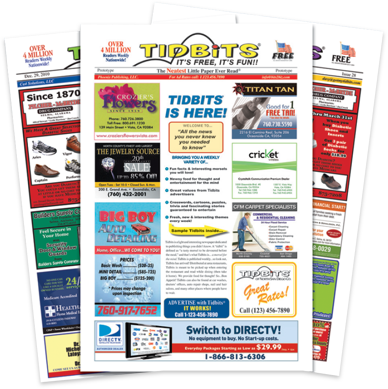 Start your new advertising campaign today with Tidbits! If you're interested in advertising with us and want to know more about our rates, download our rate sheet.